Most people are not prepared for the coming big earthquake. Over 60 percent say they expect to rely on emergency responders in the first 72 hours following a disaster, according to a recent FEMA study. Emergency managers warn us: “YOYO96…You’re on your own for 96 hours. Being prepared to be self-sufficent for 96 hours or longer after a quake will also prepare you for winter storm power outages or rolling blackouts. Ten plus years after Loma Prieta our infrastucture is vulnerable. In the bay area there are thousands of soft structure apartments housing hundreds of thousands of people who will become homeless. 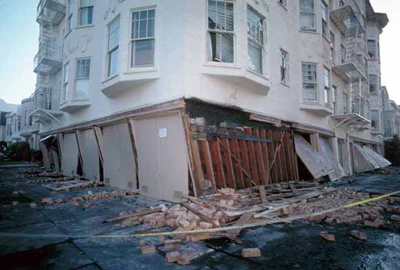 Picture the upper floors falling down into the first floor parking garage of many local apartment buildings. 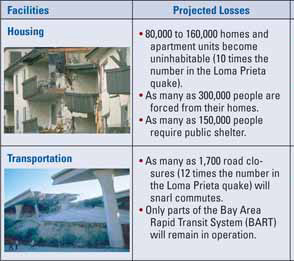 Over a thousand public school buildings and hospitals are vulnerable to life threatening earthquake damage. 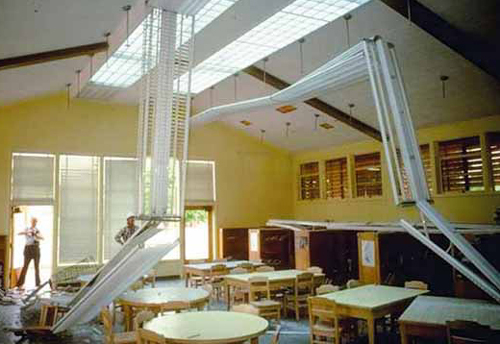 (1983, 6.7 magnitude) Coalinga schools reported that over 1,000 fluorescent bulbs fell from fixtures and fixtures fell down. In a third floor high school chem lab chemicals overturned and burned through to the first floor. 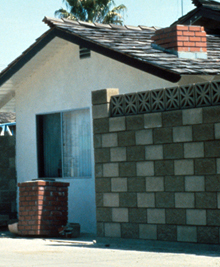 File cabinets, movie screens and maps became projectiles. 1,700 stretches of road will be impassable after a major Hayward fault quake. BART’s elevated tracks will lean. The transbay tube will most likely crack and flood. Not all of our overpasses and bridges have been retrofitted. YOU CAN START PREPARING with the first three steps at the family (and babysitters, caregivers, overnight guests) disaster plan: Disaster planning and work on from there. Earthquake and pets advice Consider having the vet ‘microchip’ your pets… Wouldn’t it be easier to transport your cat in a real carrier s/he is used to than in a pillowcase? From the Red Cross: ” Nationally, polls show that only about one in every 14 people have taken the necessary measures to prepare for a disaster.